The ambassadors Jep Sepahtu, Schawalara and Datuk AC Mizal and Ayda Jebat are the new ambassadors of JAKEL because their personality and character are relatable to the 2016 Raya collection. 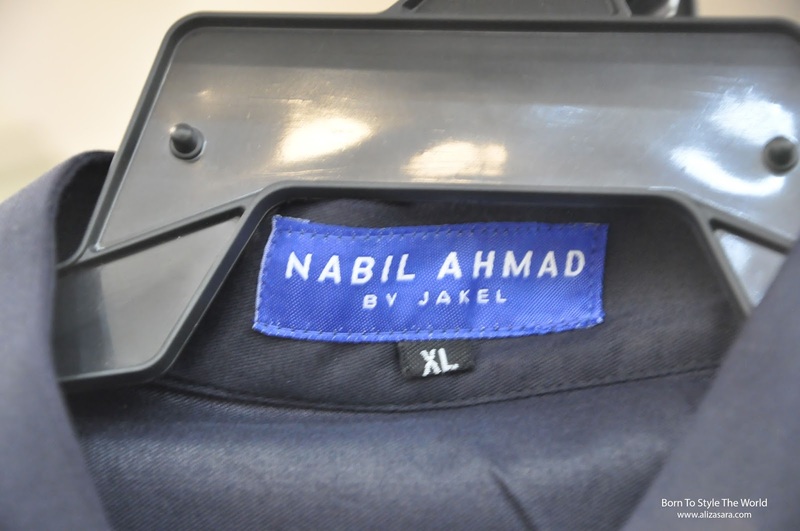 By having different variety and characters to this years collection when collaborating with these amazing personalities, Jakel has ensured that their collection would be available to suit different personalities and lifestyles of their loyal shoppers this Raya. 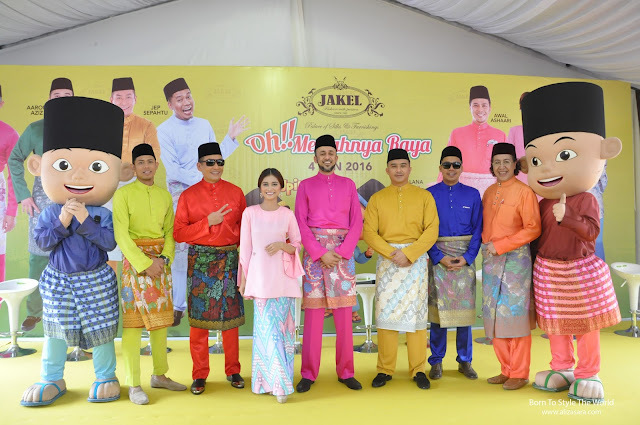 With continuous support from Jakel Fans, they have put extra effort in making sure that everyone from all types and body sizes would be happy to find their Raya outfit of their choice at Jakel. 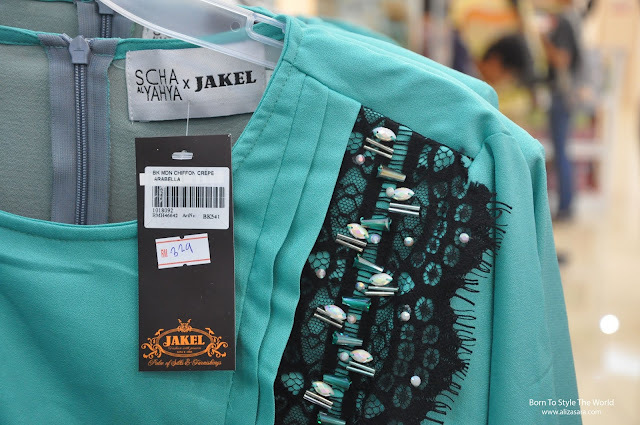 The collection from Jakel features the Baju Melayu Moden, The Jubah Terawih collection, Baju Kurung & Kids Baju Kurung. If youre a regular shopper at Jakel, you would know that Jakel loves to throw surprise promotions at random peak hours (coughs, if youre lucky). haha. 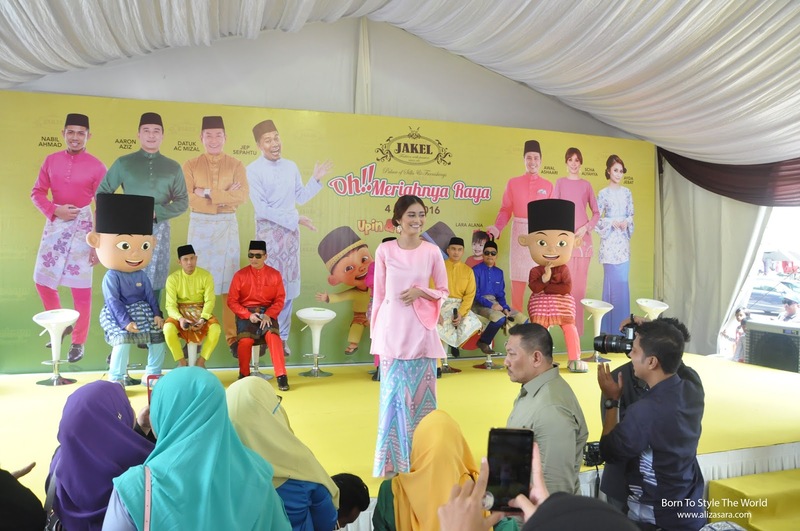 So here we have Ayda Jebat who threw a superb promotional offer for fans to purchase her collection at a lower cost. Surprisingly, i was so tempted to get her collection for myself since it was all pastel. 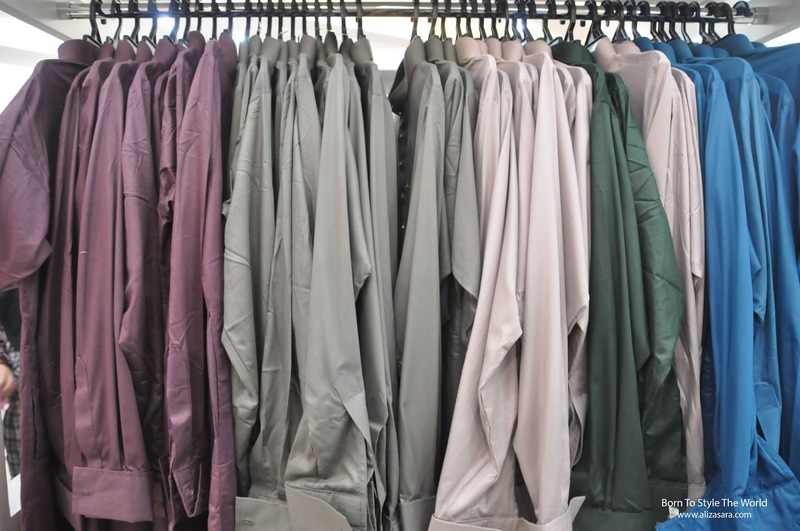 Gotta love pastel collections right? Hehe. Anybody a fan of Scha Alya? But if youre looking for a family oriented options from the Raya collection, you can always check out Scha Al-Yahya's, Awal Ashaari's, and Lara Alana's collection. The collection guarantees high-quality fabrics and the highlights the idea that the collection is affordable for everyone, while having exclusive designs featured. So i managed to check out the collection, and surprisingly, the pricing isnt that bad. Be sure to check Jakel out to see for yourself. Each collection will have a special collaboration tag on the collection. 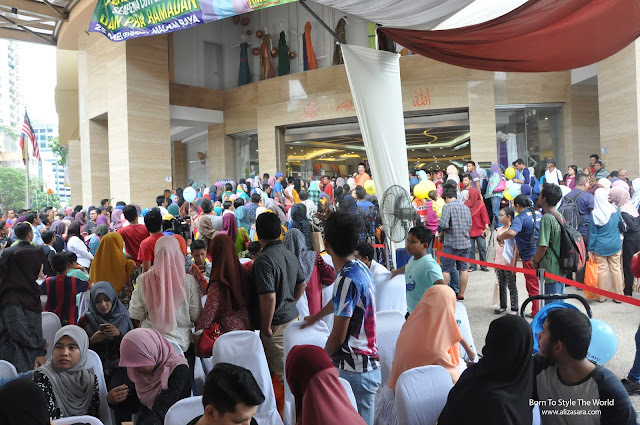 Seindah Syawal at 1 Utama! 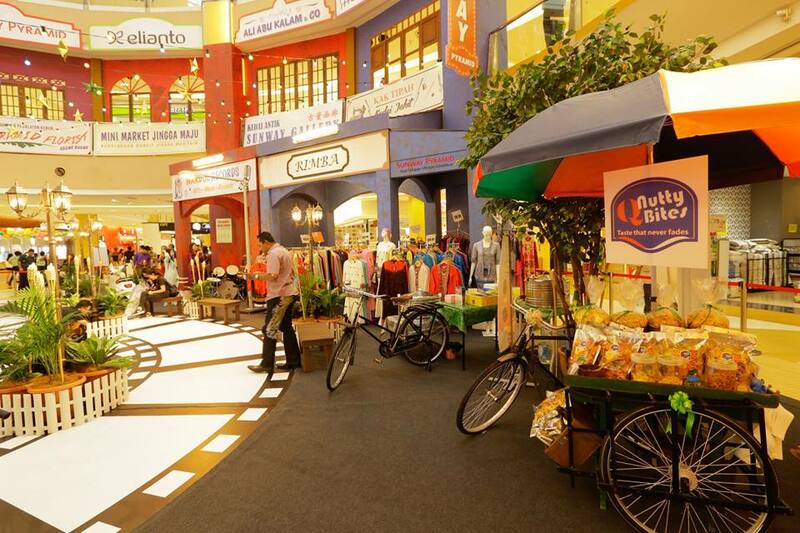 With 1 Utama being in my backyard, it makes it extra convenient for me to shop for the festive season. And whats festive shopping without festive deco's right?! hehe. 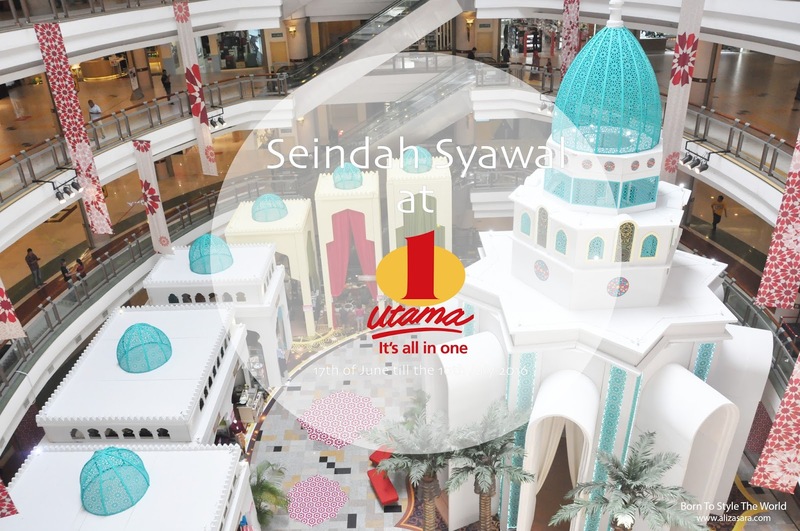 So this year, 1 Utama has decided to theme this years Ramadhan to be known as Seindah Syawal that will be held from the 17th of June till the 10th July 2016 only at 1 Utama. 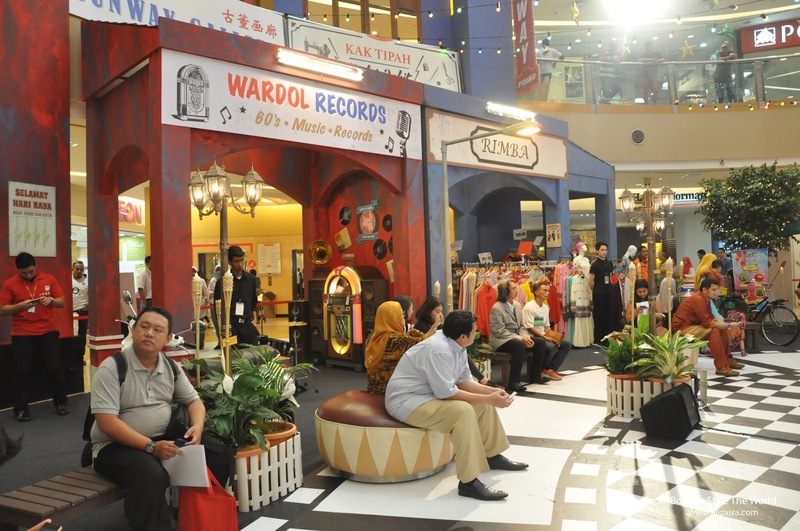 And with so many offers and promotions to be offered to shoppers of 1 Utama, i cant wait to tell you what you can look forward to this Ramadhan. First of all, with the Raya celebration just around corner, 1 Utama will be giving out a complimentary Raya tea set (which consist of 1 tea presser + 4 tea cups) with a minimum spend of RM500 (RM300 for ONEcard members) on the same day (max. 2 cumulative receipts) at any onecard outlets. But do note that its only available for the first 200 shoppers daily, so be fast cause we all know that the early bird catches the worm. 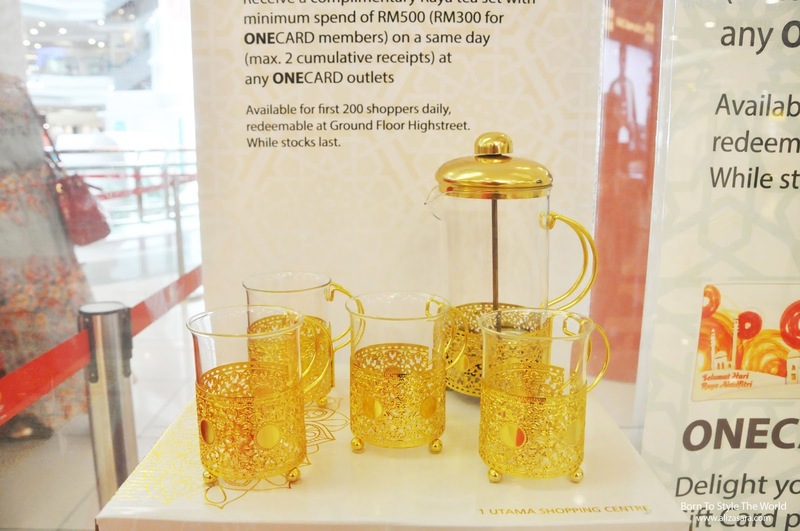 Another highlight that i would like to emphasize, would be the ONEcard e-duit Raya at OneShop which happens to be something new 1utama is introducing to loyal shoppers. 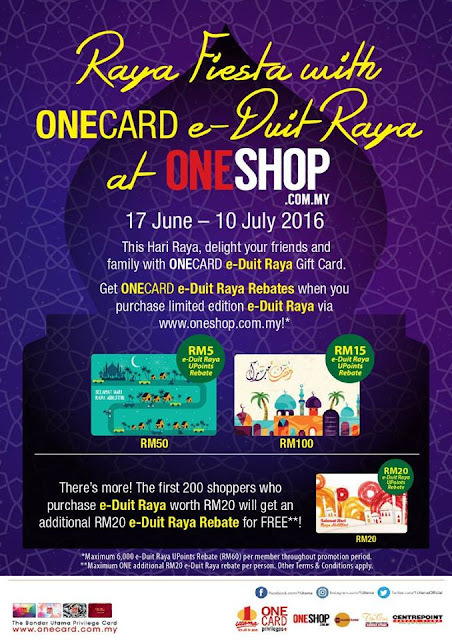 This Onecard e-duit raya Gift Card can be purchased via OneShop.com.my and you can be rewarded with UPoings rebate up to a maximum of RM60. Be fast cause the first 200 shoppers who purchase the e-duit raya worth RM20 will get an additional Free RM20 e-duit raya rebate! 1Utama never fails to think about the kids as well, so if youre looking for fun activities for the kids, there will be 3 days to choose from. 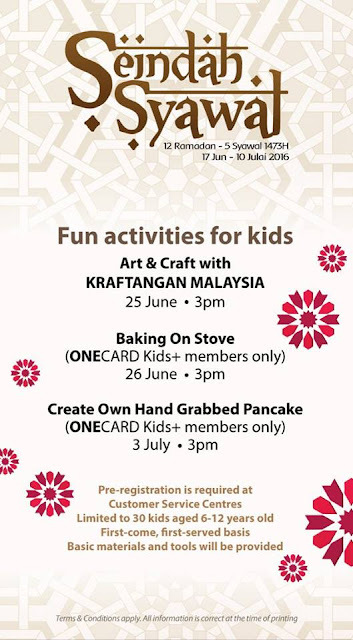 Your first option would be to get your kids to participate for their art and craft with Kraftangan Malaysia on the 25th June 2016, 3pm. But if your kids are ONECARD Kids members, they can either choose to go for a Baking on Stove activity on the 26th June 2016 at 3pm OR create their own hand grabbed pancake on the 3rd of July 2016 at 3pm. 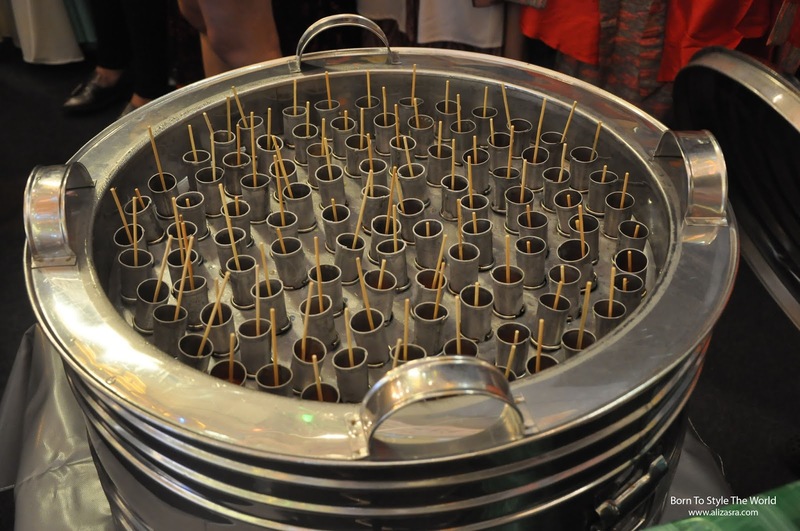 And if you think thats all 1 Utama has to offer, well you're forgetting one of the most important part of the Raya festive season! Raya is all about going back home to your hometown, but usually also known as balik kampung among malays. 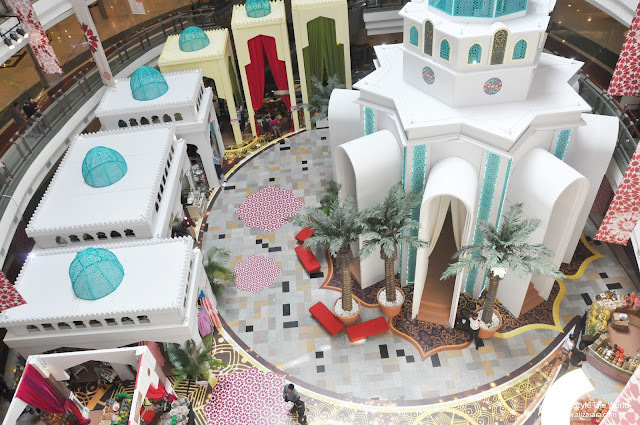 So in conjunction to that, 1Utama actually has a Transport Hub where the mall will also reward you as you travel back home to your home town. How sweet is that? The GoTravel campaign will be on-going from the 24th of June 2016 to the 8th of July 2016. 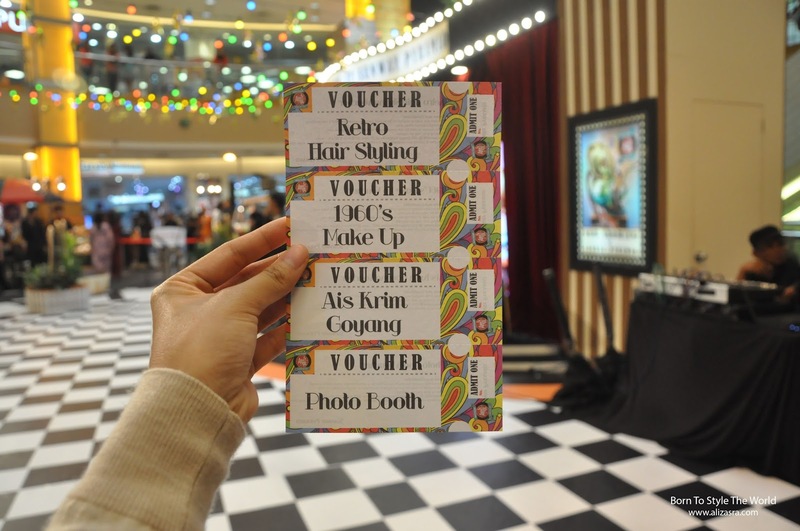 To redeem yourself these rewards, all you need to do is to show your ticket or receipt purchased from the Transport Hub Services to the LG oval concierge, and you'll get to redeem yourself some gifts before heading back home. 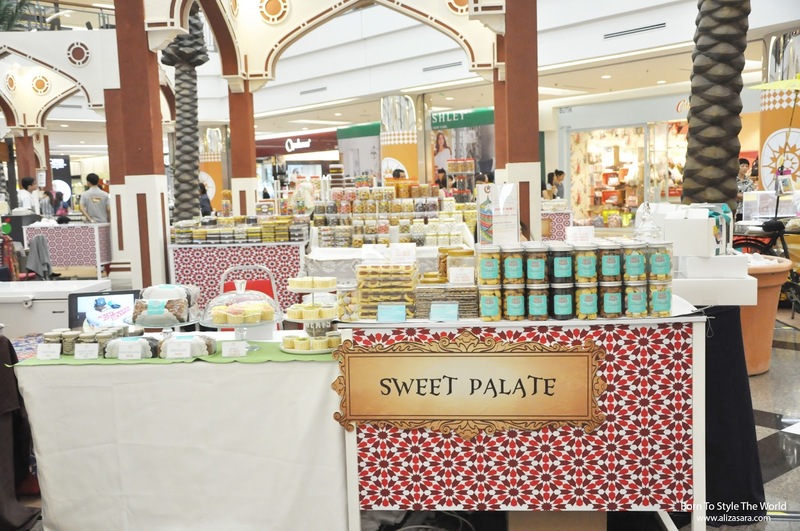 Sweet Palate caught my attention last week. Why not check out Big Mommy's cookies? 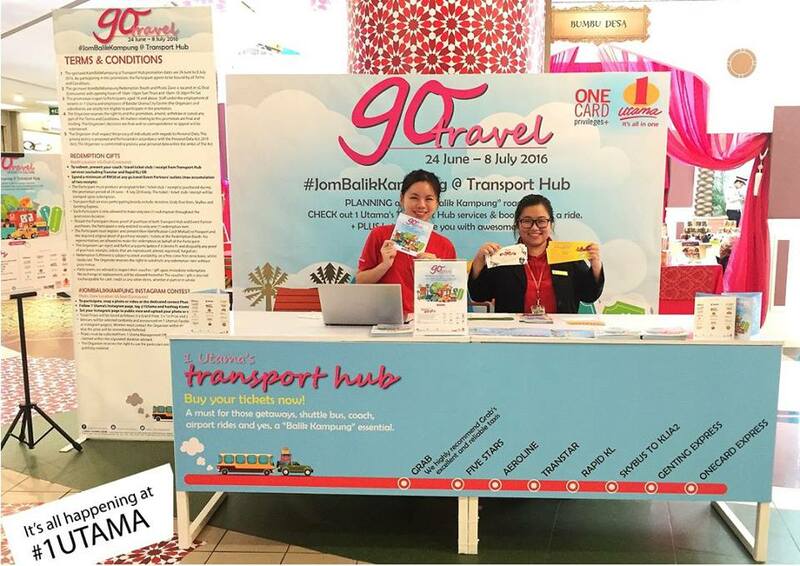 Alternatively, if you spend a minimum of RM30 at go.travel event partners outlets, you will also be eligible to redeem yourself gifts too! If you happen to be travelling back home, why not join their instagram contest to possibly win some exciting treats from 1Utama?! Be sure to also drop by their photozone located at the Transport Hub and tag @1Utama and #jombalikkampung and upload it on instagram to be on your way to win some travel vouchers from Aeroline, Grab and SkyBus! 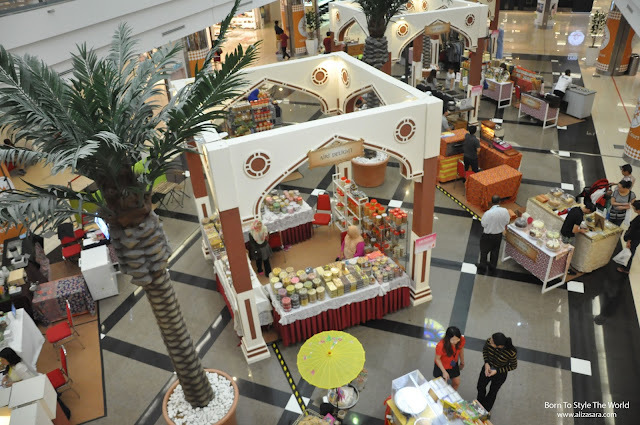 The new wing Raya Bazaar. 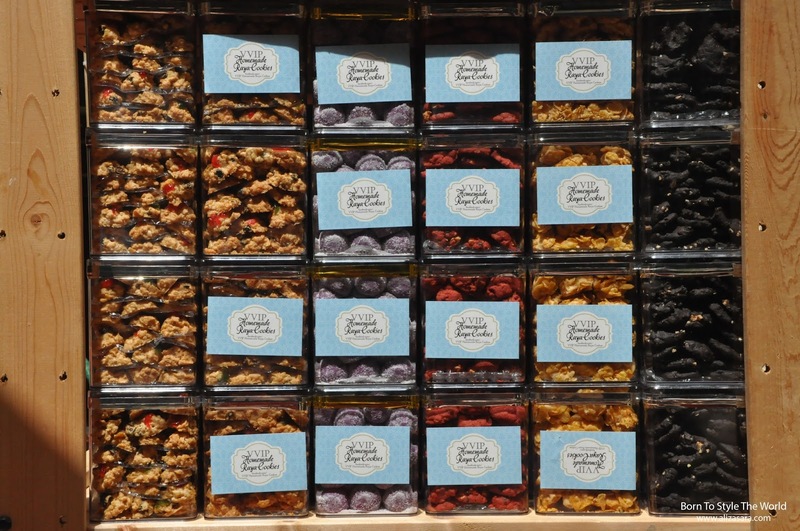 Yummy cookies that looks and taste amazing! With less than 2 weeks of fasting left, why not checkout the festive treats available at 1Utama? 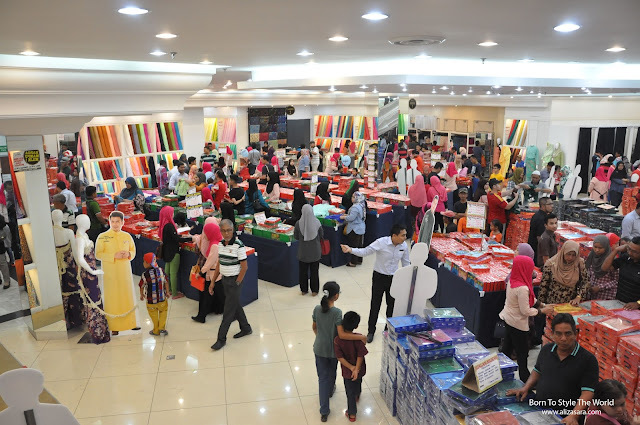 Grab yourself a Seindah Syawal brochure to not miss out on the exclusive deals happening during this festive season. I would list all the Raya combo deals here if i could, but i think its best if you see it for yourself when you visit 1Utama yourself. Wouldnt want to tempt you too much now would we *wink. 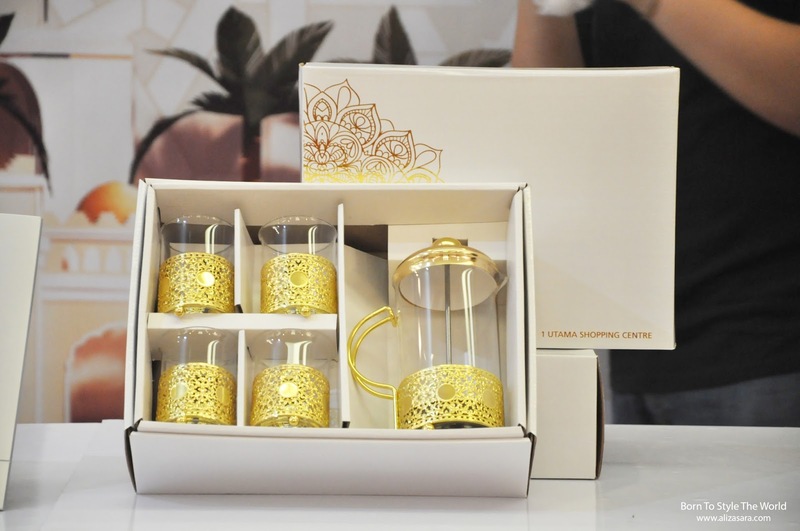 The decoration for this Raya festive season is as grand as it can be to represent a moon and a star to represent the muslim symbols for the festive season. Take pictures when you can, cause props like this dont come by on a normal day. 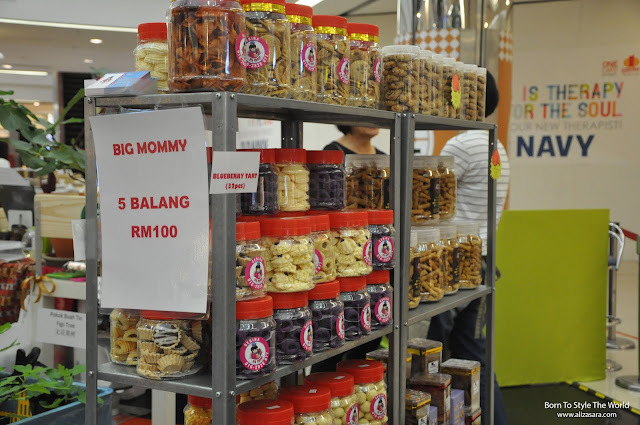 Drop by their bazaars and bring home some cookies, or do some last minute retail shopping just to get yourself ready for Raya too! I got my dose of retail done at 1Utama, when are you heading over there yourself? *wink. For more information, do visit https://www.facebook.com/1Utama for more updates. 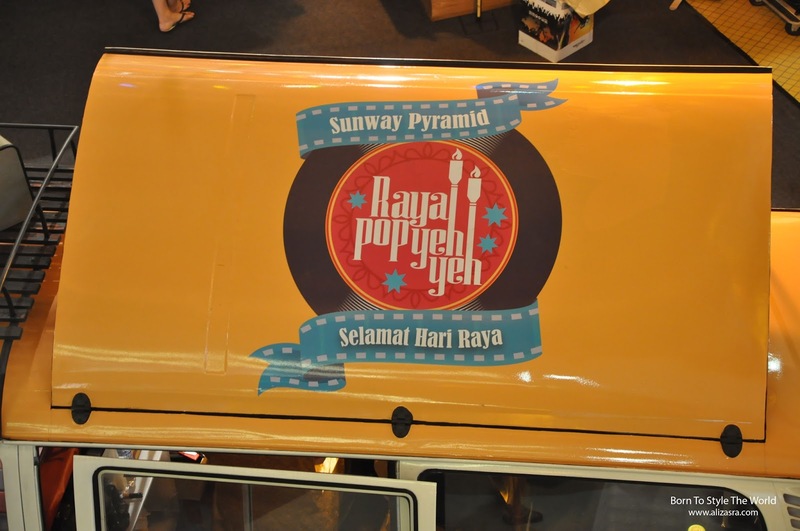 It's a Pop Yeh Yeh Raya this year at Sunway Pyramid! 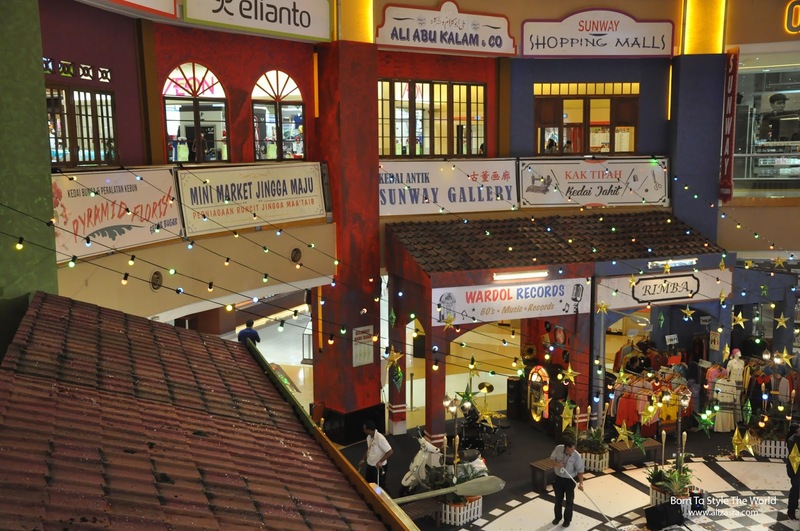 Other than the festive food and promotions being promoted during the festive season, you have to agree with me that decorations at malls are always breathtaking to invite fellow shoppers and Malaysian to join in the festive season. 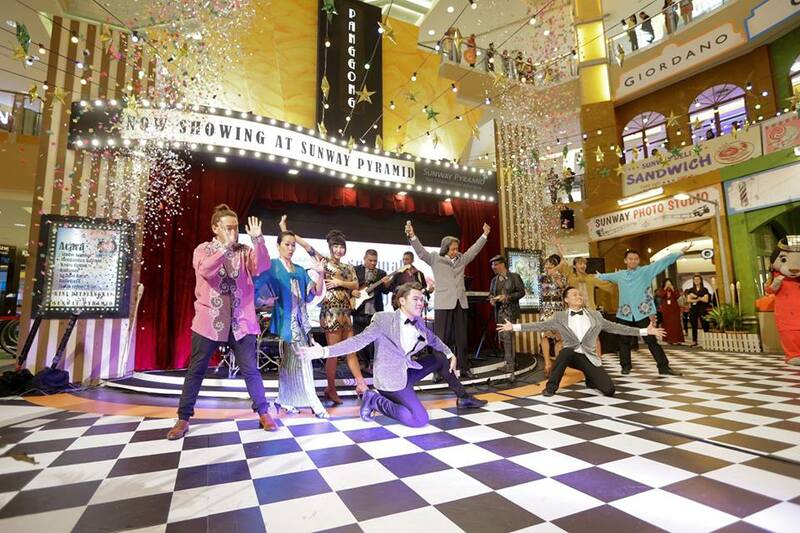 This Raya season, Sunway Pyramid takes shoppers back in time to the psychedelic 60s! Raya has always been a time where families and friends get together in celebrations of Aidilfitri, so this year, to make things more exciting, Sunway Pyramid has arraged good music and an array of activities to be enjoyed at Sunway Pyramid's Orange Concourse. 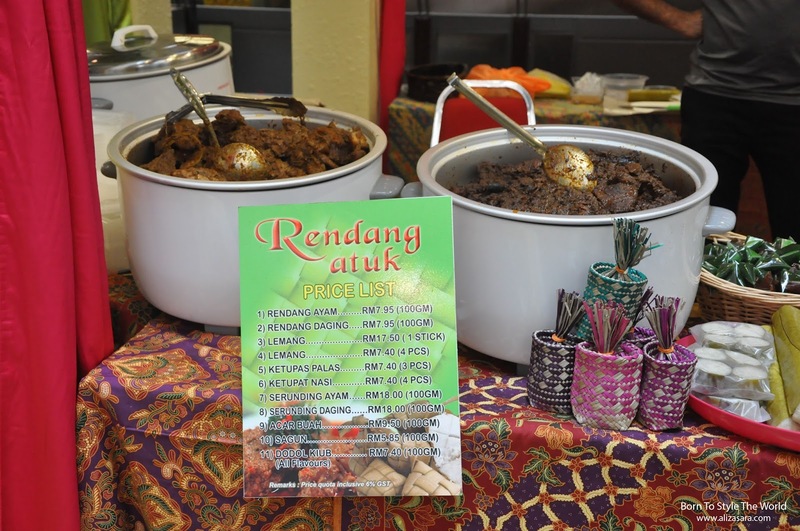 With the theme being called as the Raya Pop Yeh Yeh town square, you can also check out some snippets of Tayangan Filem Klasic at the Panggong while enjoying some throwback snacks. If you havent heard of Pop Yeh Yeh, it was a musical movement in Malaysia and Singapore from the 1960's where the term Pop Yeh Yeh was derived from The Beatles hit song 'She loves you' with the words from the chorus, "Yeah Yeah Yeah" becoming part of the song title. Pop yeh Yeh was also the efficient way to communicate the link between Malay and Western pop music. 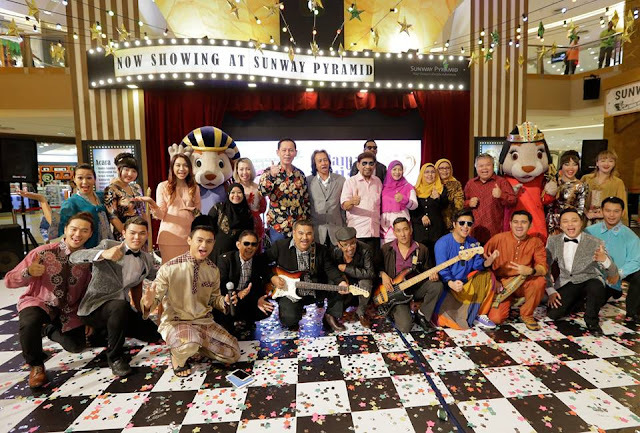 A number of Pop Yeh Yeh legends like Dato A. Rahman Hassan, S. Mariam, and Adnan Othman were present at the event, and for the opening gambit of the event, legendary Adnan Othman belted out his classic hits like Bershukor, Normah, and Hamba Terima to guests and shoppers of Sunway Pyramid. 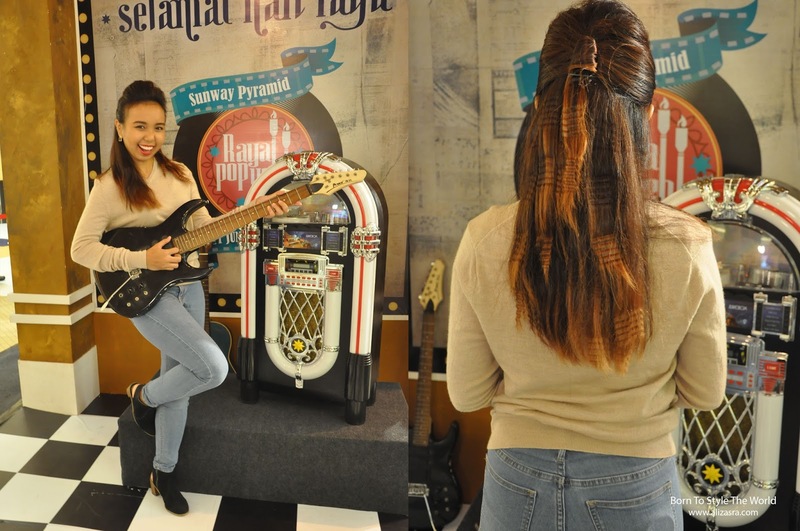 I have to admit that it was indeed a nostalgic night, and as a matter of fact, i managed to get my hair and make up done in the sixties fashion followed with a buka puasa dinner! I didnt get to enjoy the dinner, but i couldnt resist but to try to classic ais krim goyang treat. 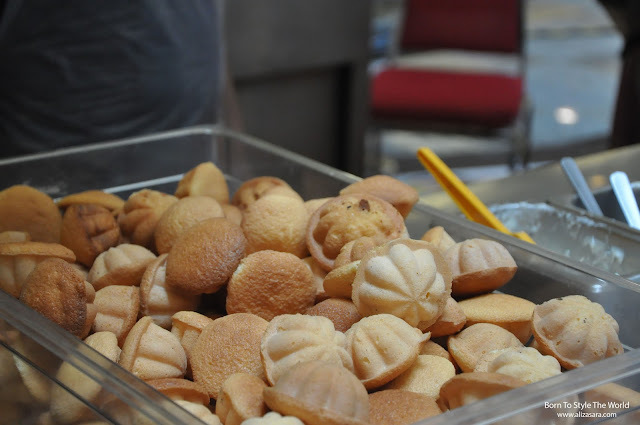 Never knew, classic treats were actually really good! 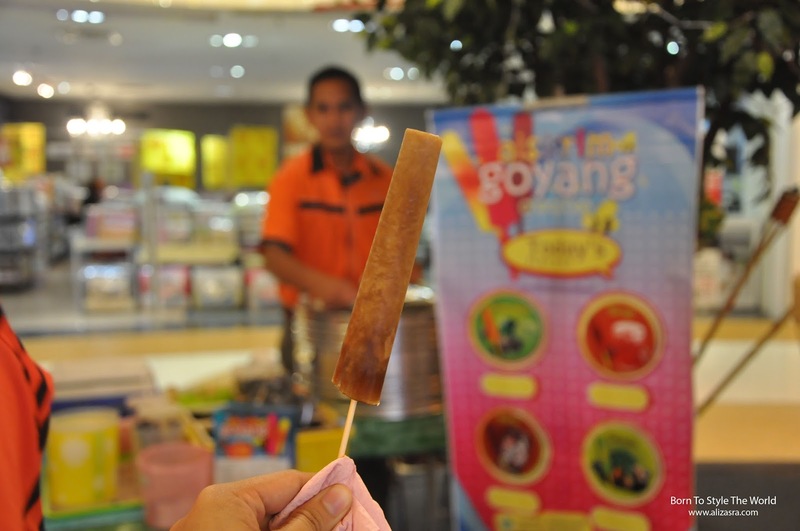 So, if you happen to be at Sunway Pyramid, be sure to get yourself a bite of this rare ais krim goyang. 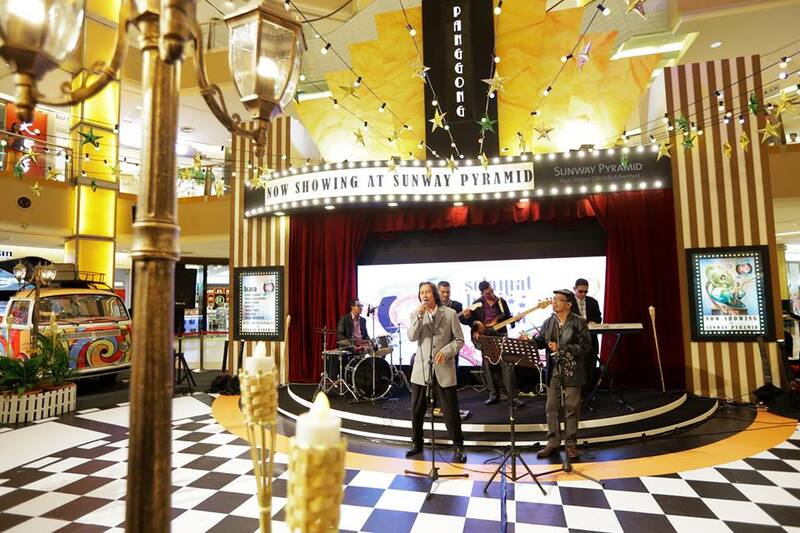 So if youre wondering how to join in the fun, shoppers of Sunway Pyramid who spends a minimum of RM250 (RM150 for HSBC Credit Cardholders) will be eligible to redeem exclusive Sunway Shopping Malls Raya Packets and a Pop Yeh Yeh voucher. The Pop Yeh Yeh vouchers is exchangeable for complimentary exclusive retro hair styling at the sixties themed barber shop and het your photo printed for free at the photo studio, and a packet of old-school snacks. 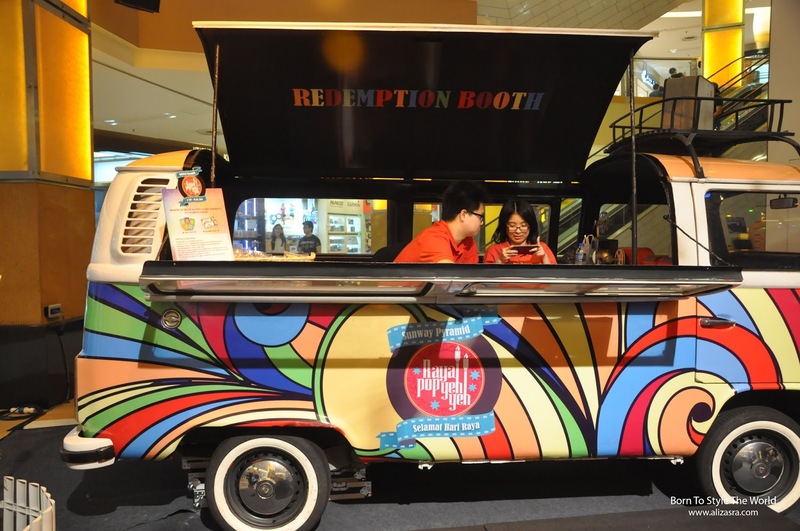 There is also a psychedelic Combi van which definitely made a lot of head turns, making it a great photo op. 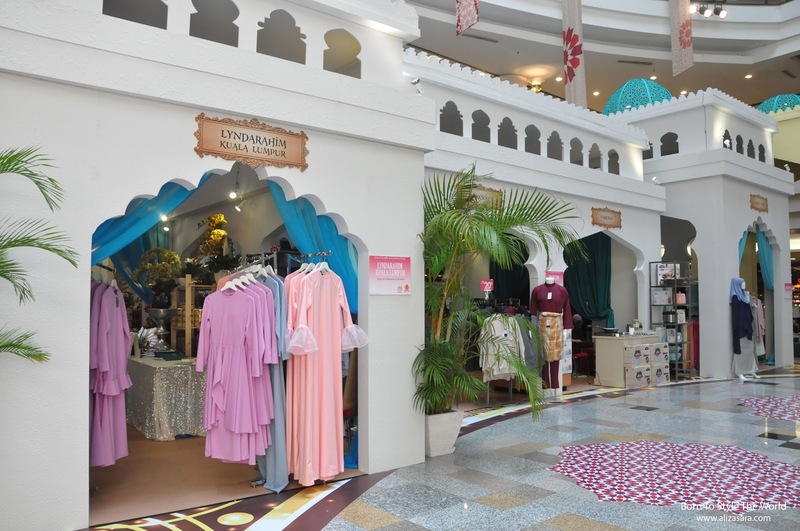 Shoppers who are in the midst of completing their Raya shopping, Sunway Pyramid is definitely your one stop Raya shopping destination. 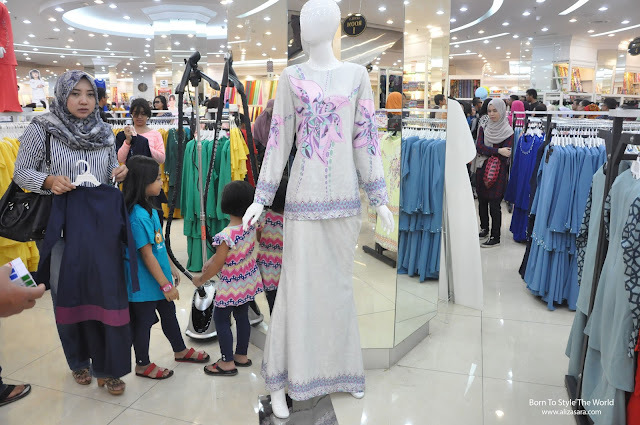 There is an array of of stylish Hari Raya fashion including colourful Baju Kebaya, Baju Kurung and Baju Melayu available at Rimba or for a more fashionable style, why not checkout Uniqlo's Hana Tajima's range? Not to forget that they also have Braun Buffel, Aldo, Lovisa just to name a few to complete your Raya look too! 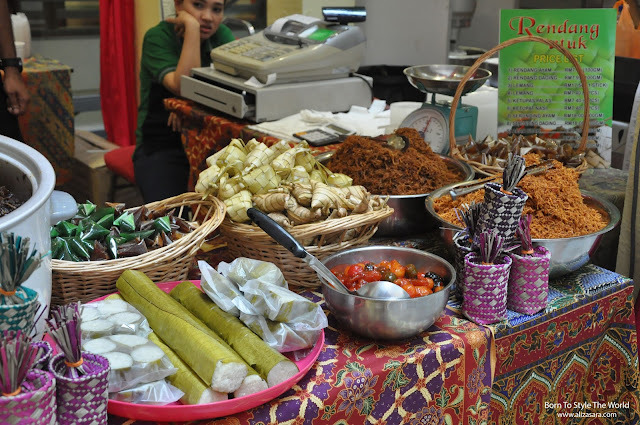 With a number of 160 food outlets that are currently running Ramadhan promotions, you will be spoil with choices. Why not create your lasting memories this Hari Raya and celebrate the reunion of family and friends at Sunway Pyramid? Sunway Pyramid wishes Maaf Zahir dan Batin. For more information on Sunway Pyramid's Raya Pop Yeh Yeh, visit www.sunwaypyramid.com. Maybelline tells Malaysian Girl to "Make It Happen"
Hey you guys, recently Maybelline launched their brand new tagline to spur young women in pursuing their dreams. 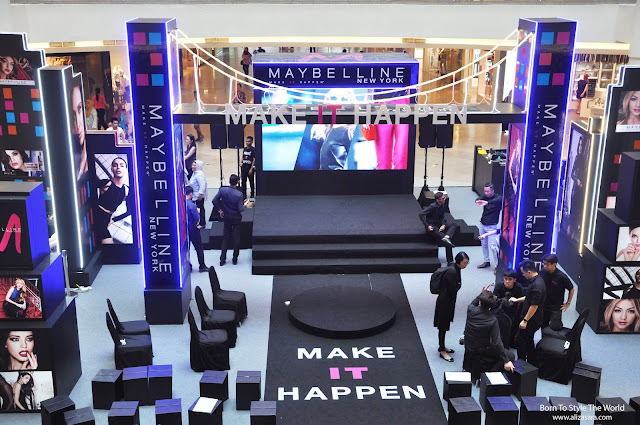 Make it happen is the new inspiration from Maybelline New York, calling out to young Malaysian women to go after their dream without letting doubts or fear stop them. 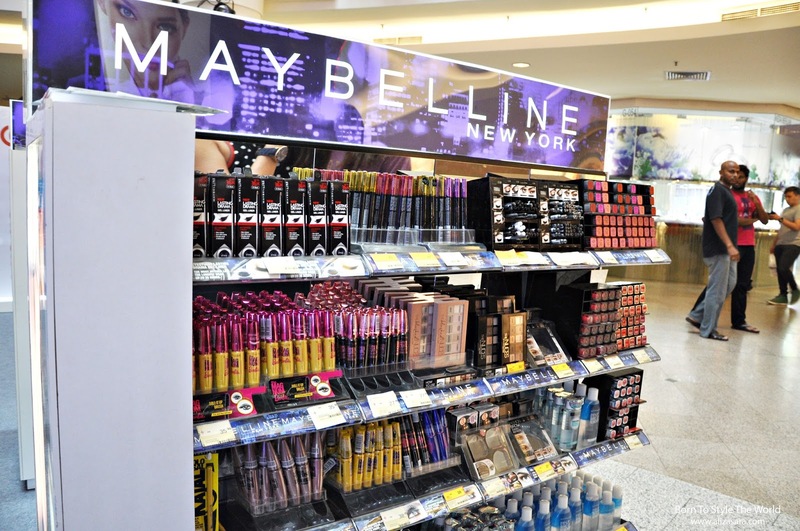 With Maybelline, it instead provides a woman the confidence, the positivity and the creativity that comes with the use of makeup. 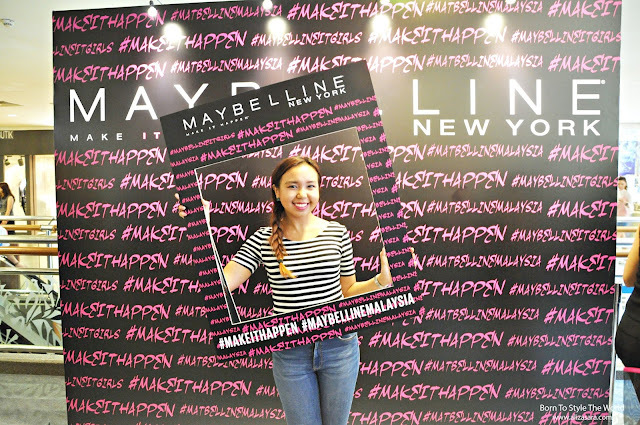 At the new tagline launch, we had Maybelline New York Malaysia's Marketing Manager, Pink Fong, who explained that behind the brands new slogan, its all about being close to women, seeing the need to evolve the way we speak and especially focusing on the new millennials, to reflect in their daily lifestyle. The 'IT' symbolises a powerful word that has lived with Maybelline for decades, and not it's defined in her hands to essentially express her beauty and her life, by making it happen. 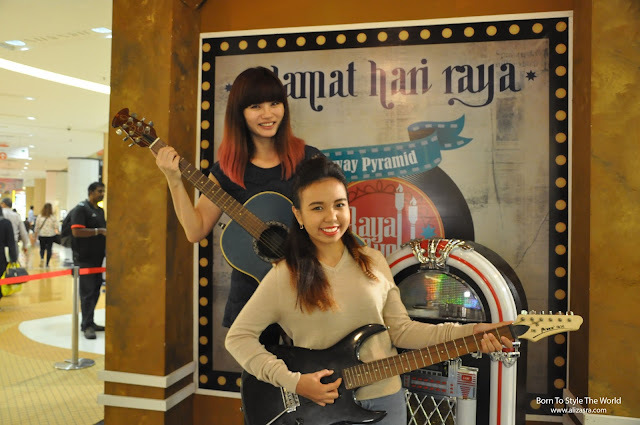 To make this launch even more meaningful, they have inluded Malaysian 'IT' girls from diverse backgrounds and interest who share a common passion in pursuing their own life goals. 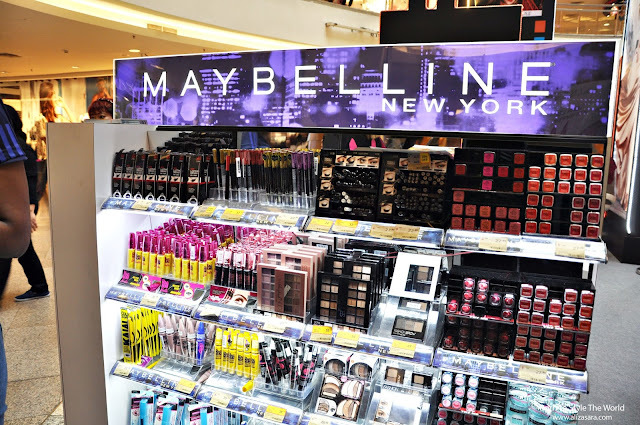 The highlight was also that we had a special appearance by the finalist of Asia's Next Top Model 4, which Maybelline New York is the proud official makeup sponsor. These girls are to represent Malaysian women today, by sharing their stories to serve as an inspiration to other Malaysian women to chase for their dreams. What makes these girls different would be that they are spirited, expressive and part of the makes of revolution. Girls in our generation nowadays tend to know what they want, and they do make it happen! From getting a fulfilling career, a meaningful life, a contented family, health and wellness and basically embrasing their unique personality. These girls are not afraid to live up their greatest potential in life, making them great role models for women to follow. We had the 'IT' girls to share a thing or two bout how make-up has helped transform their lives, and gave them the courage, positivity and confidence to go after their dreams where we had Nuraini Mohd Noor, Harmini Asokumar, Nur Elisya Mohd Faisal, Johanis Mohd Sani, Wong Jie Xhia and Noorzamrina Hj Zamrin. Curious about what they have to say? Below would be some story telling time on how they have managed to show their confidence to the world. "To spread hoy, one has to be first be a picyure of positivity. Maybelline Hypersarp Powerbank Liquid Liner really enliven my looks. When i look good in the mirror, i fell wonderful too and all the positivity comes rushing in ti help me bring cheers to them. " Noorzamrina Hj Zamrin, Freelance Model"
Besides sharing their inspirations Make It Happen stotries, the girls took center stage at the new tagline launch when they were transformed with Maybelline make up under the hands of makeup artist StevenSunny! With Angie Tan, Adillah and Nuraini Mohd Noor who were the finalist of Asia's next Top Model 4 up on stage, it really got heads turnings once StevenSunny did his magic on these models. With the wide availability of Maybelline products in all major stores and pharmacies, the brand's make it happen message will reach Malaysian girls from all walks of lfe, to inspire them to make their mark in the world and conquer all possible odds. Find out more about the power of transformation through Maybelline make up in the 'IT' Girls lookbook , which can be found on www.facebok.com/MaybellineMalaysia and hashtag (#MaybellineITGIRLS) to find the look that you would like to carry.